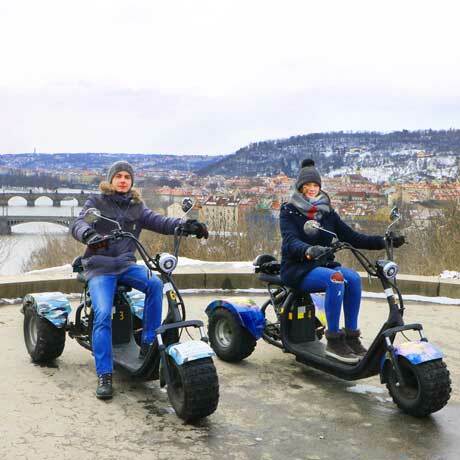 Trike electric scooter has become really popular in the world and nowadays it is available to the public in Prague, the heart of Europe. 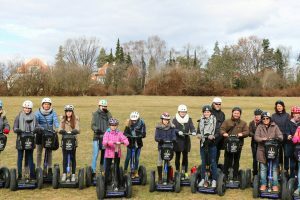 Don’t miss the opportunity to get this cool and at the same time fast riding eco device and create your unforgettable memories with Euro Segway Company. 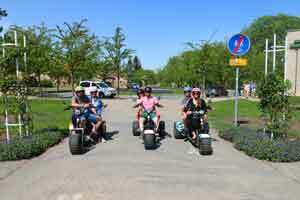 Trikes Harley are also easy to learn and ride for those who cannot balance on two wheel bike. 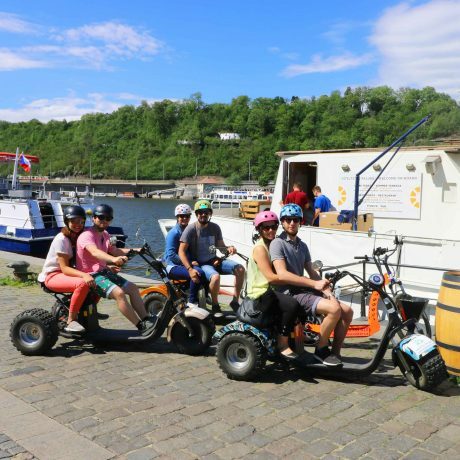 You can also connect to your Trike by your mobile phone and enjoy your music during the tour. 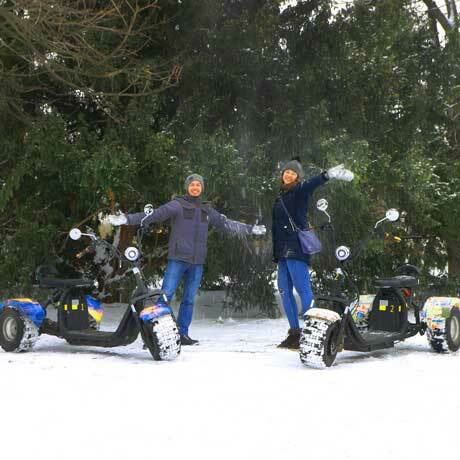 It is fun and easy to ride thanks to three wheels; electric scooter that doubles your emotions and increasing your impressions out of the tour within the city. 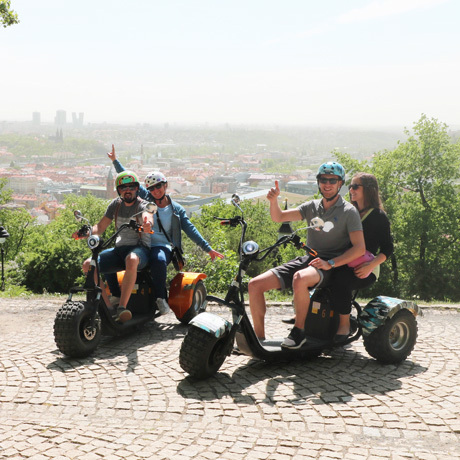 3H Trike tour is the blend of the unforgettable experience, beautiful memories and positive vibes. While driving the one of the most historical living city in the World, trust to your well-knowledgeable and individual tour guide and enjoy all “must see” places with all historical information, interesting stories and fun facts. Moreover, there is a possibility to select the tour based on your preferences. 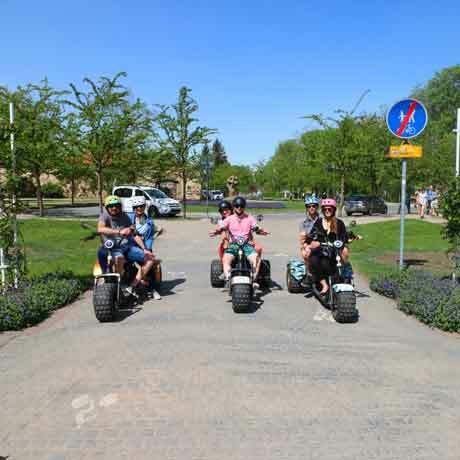 Trikes have no limit, tell to your personal guide about your preferences before the tour and we will arrange the best route according to your taste. This is highlight of the city! 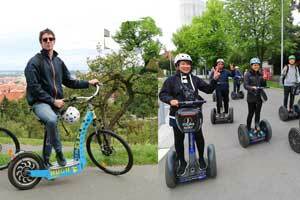 We did private tour and found the best viewpoints, rode up and down the hills, visit a castle and saw so many sights. Walking its impossible even in a hole day. Thanks Caesar our guide he show us Prague! Discover the beauty of the historic center and admire the fascinating collaboration of the different architectural styles. Learn detailed information about the Old town and the lesser town areas. 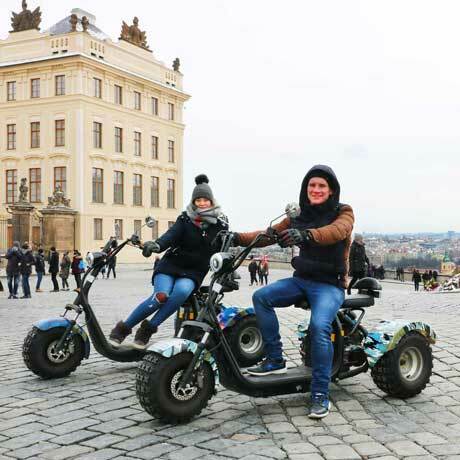 Take some pictures in front of the famous Astronomical Clock’s and get to travel through tiny cobbled streets which will lead you to the UNESCO heritage Prague Castle. 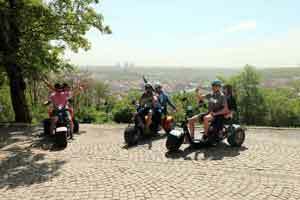 Get to know the dark legends of the mystery city of Prague and capture your memories at the top of the highest observation point. Opportunity to taste the best beer in Strahov Monastery and visit the baroque library where they have filmed James Bond. 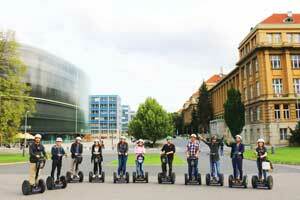 Glide down of the Petrin hill and keep your direction to the fabulous National Theater is placed. 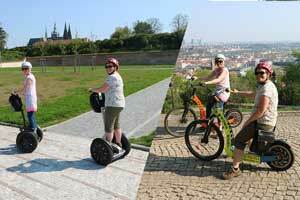 Ride among Vlatva’s riverbank to see the city from another angle and inhale the city with thousands of years history. Fall in love with the cozy atmosphere of ancient buildings and get to feel the freedom tailwind.